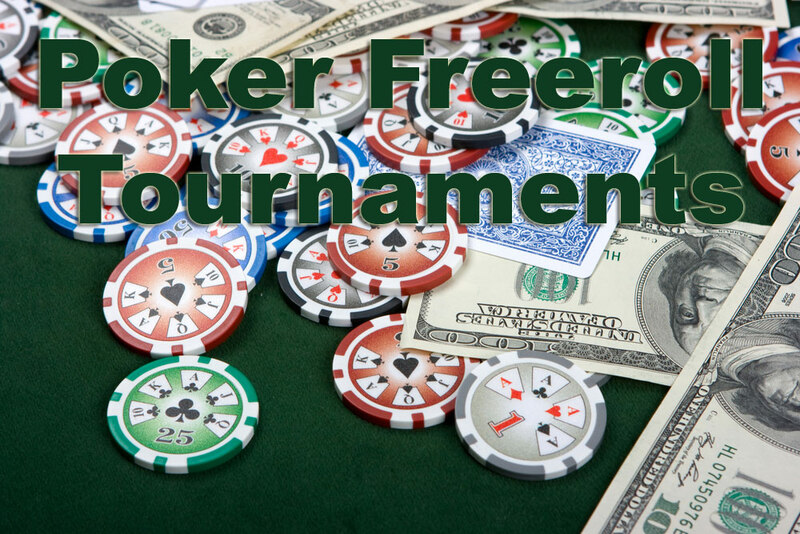 What are Poker Freeroll Tournaments? As the name suggests these are poker tournaments that are free to enter. Yes that’s right there is no catch – they really are free. No entry fee, no upfront cost, and the best thing is that winners walk away with prize money. Players can win cold hard cash without the worry of losing any initial upfront money. What are the Benefits of Freeroll Tournaments? These tournaments are some of the most popular in poker, with hundreds of thousands of players participating live and online every week. They are a great way for new players to get used to competing in online tournaments and build their confidence. Of course it isn’t just newbies that enter these tournaments. Players of all skill and experience levels can and do join in. Because there is no buy-in, players are able to practice new tactics, or hone their strategies with the stress and worry of losing money. Some current stars started their poker career competing in freeroll tournaments and it can be a very beneficial arena for a player to hone their craft and sharpen their poker skills. Of course not everyone can be a super star of poker but the good thing about these tournaments is that there really isn’t anything to lose to find out how good a poker player someone is. Not really, freeroll tournaments are a win-win for players due to the zero risk to their bankroll and the potential for winning cash prizes. The only downside really, when compared to a regular tournament, is that because there are no buy-ins to build the prize pool, the prizes do tend to be much smaller. The prize pool generally comes from donations from the casino, from sponsors, or from spectator admission fees. Prize pools are often in the range of £50-£100, though there are some that go a lot higher than that. There are fortunes being made everyday in online poker, and online tournaments so the better a player can get the more they are going to win. The more tournament experience a player can gain the quicker they are going to climb the winnings ladder and collect larger and larger payouts. Why Would a Casino offer Freeroll Tournaments? There are many reasons why a casino would offer these kinds of free online poker tournaments. A lot of it has to do with getting players to try out a new game, or new software in the hope that it will prove popular. Other players will find success with free tournaments then go on to participate in buy-in tournaments or paid accounts. Some of these tournaments are are put on for loyal regulars and are not open to just anyone who is looking to play. More often though it is to introduce online poker to a new audience by giving them a risk free trial. There are a variety of free tournaments and their specific format will determine how someone can join in. Freerolls for new players are one of the most common to be found online. These are set up to give new players a chance to get a feel for the site or the game room, and experience how fun it can be. Other players can become eligible once they have made their first deposit on a casino website. For those who are not new to a website, there are poker freerolls available for players who have amassed a certain amount of points. These points can be gained by depositing money, and/or playing in pay-in tournaments, cash games, and more depending on the casino’s rules. Play in as many as possible. Like all things, poker skills improve with training and experience and poker freerolls provide the ideal training ground for this. To be able to enter more tournaments, try joining a variety of online poker rooms that offer new player entry, or first deposit entry to maximise your exposure. Be cool at the start. There will often be a lot of players competing in a freeroll tournament and the start of them can be frenetic. Try not to get overly excited, but hold off for the good cards and look to double up. If you bust out, don’t worry just head for the next tournament.